Sitting in 13th place in the NHL’s Western Conference and seven points out of the last playoff spot, the season did not seem over for the St. Louis Blues. After the trades on Friday, including shipping out the captain of the team, it appears the front office is not looking at this season, but the seasons down the road. Oh, by the way, the Blues won their game last night. The trade machine started on Friday as the captain of the team Eric Brewer was sent off to Tampa Bay. 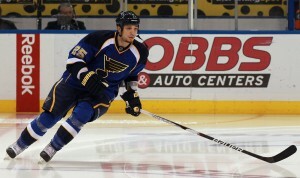 In return the Blues picked up Brock Beukeboom and two draft picks. Beukeboom is 18 and an unsigned draft pick who has played 44 games this season in the Ontario Hockey League. Brewer had been with the Blues since 2005. During his more than 300 games, he had 30 goals and 65 assists. He had been the captain of the team since 2007. In-between all of this, the Blues were in Buffalo to take on the Sabres. St. Louis would shut out Buffalo 3-0 last night. Ty Conklin made 25 saves. 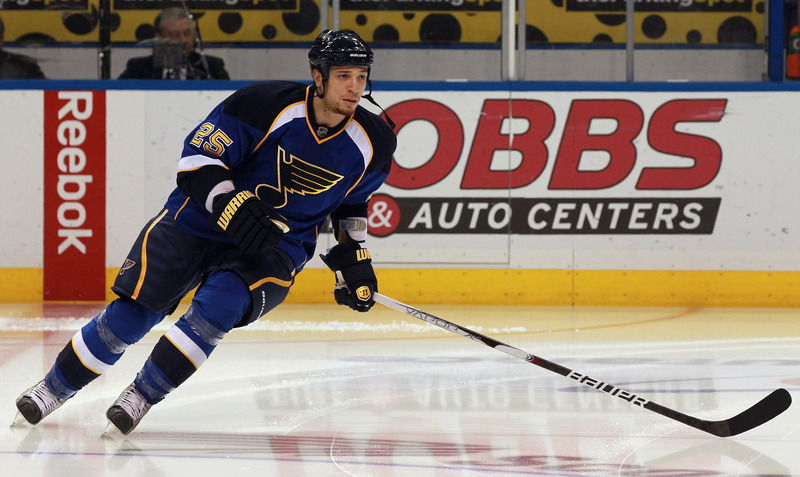 The Blues would get goals from T.J. Oshie, David Backes and Vladimir Sobotka. Then after the game, more trades were made. Erik Johnson and Jay McClement were traded to the Colorado Avalanche for Chris Stewart and Kevin Shattenkirk. St. Louis will also get one draft pick, while they also traded away one of theirs. While this may not be considered a fire sale, no one is really sure what kind of message this sends to the team, or to the city. The new look Blues will be back on the ice on Monday afternoon for a matinee against the defending Stanley Cup Champion Chicago Blackhawks.